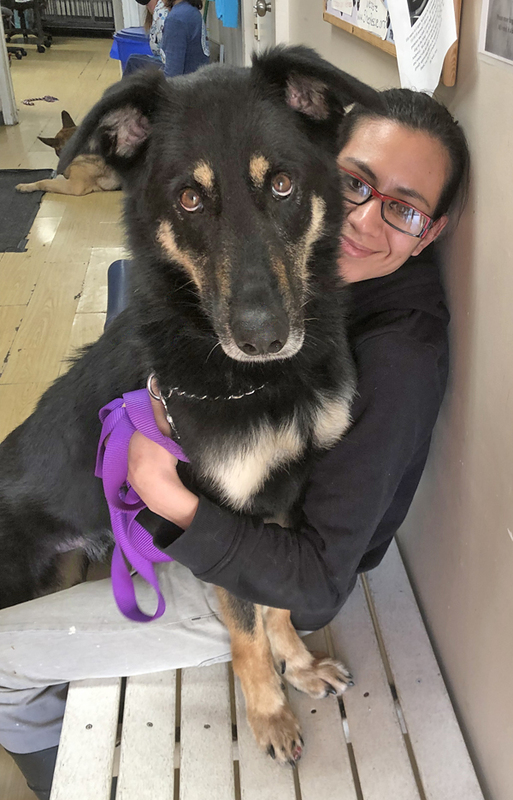 Lukas von Lubz is a delightful 3-year-old Shepherd mix. First off, can we just acknowledge that he's ADORABLE. I mean, have you seen his picture? Blessed with an easygoing and social temperament, this friendly boy has two main priorities: explore all the world has to offer and please you. The epitome of a “good boy,” this calm sweetie walks well on leash - whether alone or in a pack - keeping next to you and always starting his outings with an eager and optimistic expectation of lots of fun and exploration along the way. He's currently competing for the “Mr. Regal” award (and let's be real, who looks more regal than this guy? ), so all the more reason to come get this boy while he’s still here! Lukas is just looking for some good friends with whom he can snuggle and look up to for some affection. Beyond adorable, friendly and dripping with kindness, Lukas’ ears will perk up every time you come home to greet him. He does well in playgroups, where he calmly meets other dogs and prefers the company of those that are easygoing, like himself. Dogs don’t seem to hold his interest for long, however, so, after meeting everyone, he will gravitate toward his people, preferring to hang out with them and asking to be petted. Lukas is ready to travel to you across the country, if that's what you want! We do suggest supervising him in the yard and no cats, please. If you're looking for a humble, sweet boy (and, honestly, who isn't?) apply for him today. You'll be lucky to have Mr. Lukas!